What's the problem with Sugar? It's hiding in all of our foods! Even though North America is one of the unhealthiest countries around the world, I truly believe that people are TRYING to make healthier, smarter choices. 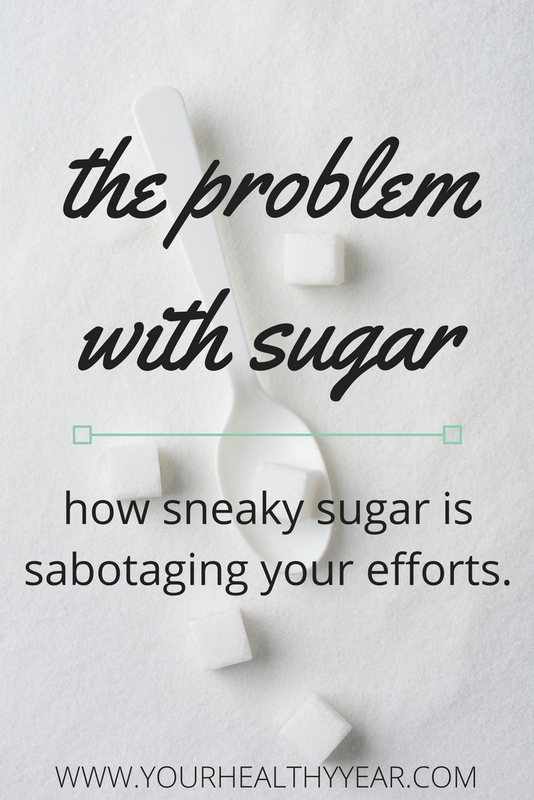 One of our biggest problems is sugar, and you don’t have to look very hard to see why. Many of us look for products that state ‘low-calorie’, ‘low-fat’, etc. The problem is that when companies take out fat or calories, the products don’t taste as good so they add MORE sugar to make the items taste better. In the end, we think we are making a healthy choice because the calories are low. By eating just one granola bar, and just one bowl of cereal a day, you would already be consuming about 5 teaspoons of sugar! That’s insane! Drinking a can of pop with supper? That’s a whopping 40grams of sugar – TEN teaspoons! There are also huge amounts of hidden sugars in pre-made items like pizza sauce, spaghetti sauce, ketchup, and basically every other packaged pre-made meal and snack! Foods high in sugar often lack any nutritional value. They are high in calories and fat but have no fiber, protein, vitamins, or minerals. 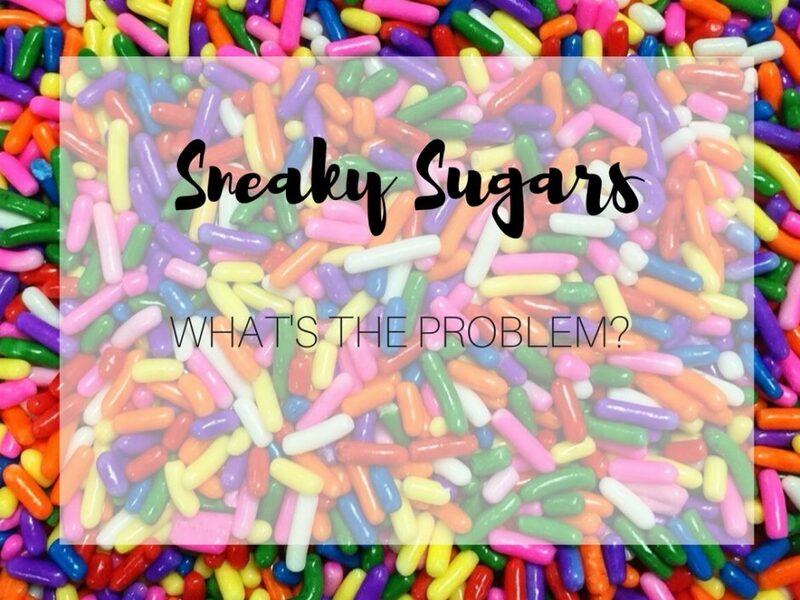 Sugary items are often just ‘diet fillers’, meaning they don’t do anything for us but affect our caloric intake in a negative way. When we eat things with large amounts of sugar and no other food value, our blood sugars take a quick spike, resulting in high energy for a short amount of time. The problem is that once we hit that high, the sugars come crashing down and we get tired. Our bodies tell us we need another sugary fix and the cycle begins again. Think abut this next time that 3pm slump hits and you grab a candy bar or pop. Take control of what you are eating by making your own snacks, sauces, and meals. Instead of buying pre-made snacks or frozen meals – make them yourself! You can buy containers with compartments for easy meal prep – and make your own frozen dinners! Another super easy way to cut back on your sugars is by making your own sauces for pizza and spaghetti. All I do is use a can of crushed tomatoes and use my own spices to customize. Just put the tomatoes and spices in a pot, bring to a boil, and let simmer for about 20mins. Try and limit your pop intake to once or twice a week – save it for a weekend treat. Drinking water as much as possible is the best way to stay hydrated and save on empty calories. I’m not going to lie, preparing your own snacks and meals takes time, patience, and determination, but it is so worth it. Start small by making your own granola bars or energy bites. Try out multiple recipes, and find your new fav. snack! Fat has been unfairly demonized. Once the low fat craze started, people got unhealthier precisely because of all the added sugar in low fat foods. Absolutely! People reach for ‘low-fat’, ‘low-cal’, etc. when in reality it’s not the healthiest choice!